Frantic Bulgarian dance rhythms, meditative melodic improvisations, stomping Klezmer freilachs and everything in between. Horovod create a rich blend of melody and harmony, complemented by the driving percussive sounds of tapan, darabuka, bouzouki and guitar. 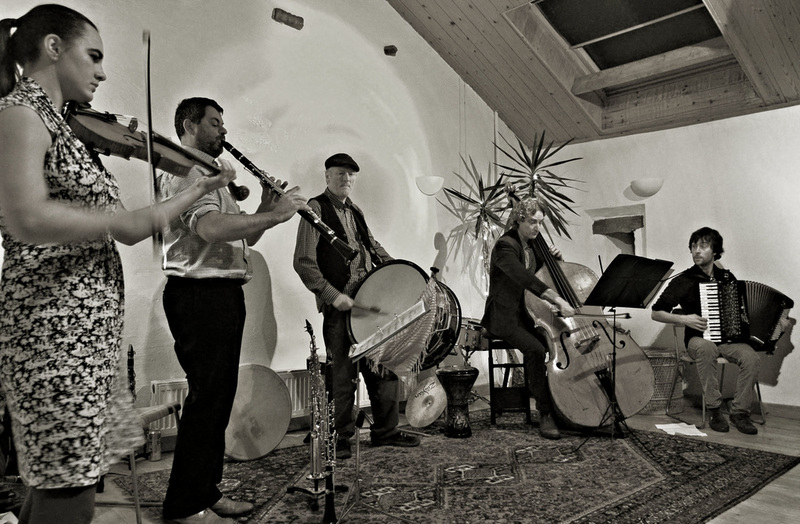 They perform their own interpretations of Balkan and Klezmer music with flair and energy.